Recently, Bangkok Airways announced a temporary extra service between Bangkok – Naypyidaw during 5 – 30 May 2014. The additional flights will increase the airline’s current frequency from 5 weekly flights to 1 daily flight. The schedule on 5 May and for the period of 16 – 30 May: The extra flights for Bangkok – Naypidaw are PG721, departs from Bangkok at 17:00 hrs. and arrives Naypidaw at 19:00 hrs, and PG722 departs from Naypidaw at 20:05 hrs. and arrives Bangkok at 23:05 hrs. The schedule for the period of 6 – 12 May: The extra flights for Bangkok – Naypidaw are PG721, departs from Bangkok at 18:25 hrs. and arrives Naypidaw at 19:35 hrs, and PG722 departs from Naypidaw at 20:25 hrs. and arrives Bangkok at 22:35 hrs. All passengers of Bangkok Airways can enjoy a boutique lounge at both Suvarnabhumi Airport and Naypyidaw International Airport where passengers can treat themselves an exclusive place to take a break with variety choices of free snacks and various choices of hot or cold drinks, free Wi-Fi Internet access. 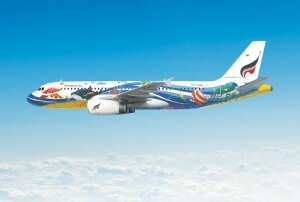 For more information and reservation, please contact 02-270-6699 or www.bangkokair.com or Call Center Tel. 1771 (24 hr – services).